The ability to maintain the traditional look of a multifuel stove, while utilising the latest in combustion technology, is not easy. However, take a look at the Broseley Evolution Desire 5 Widescreen Multifuel Stove and you will see a perfect example of a success story. Not only have Broseley managed to maintain the traditional look and utilise the latest in combustion technology, but this is done with a widescreen viewing area. In effect, the viewing area is from the Broseley Evolution Desire 7 Multifuel Stove and really does enhance the Broseley Evolution Desire 5 Widescreen Multifuel Stove. This particular model has a steel construction, comes in at matt black finish with both primary and secondary air controls. The now commonplace airwash technology ensures that the viewing area is clear at all times so you can enjoy the flickering flames and the burning embers. 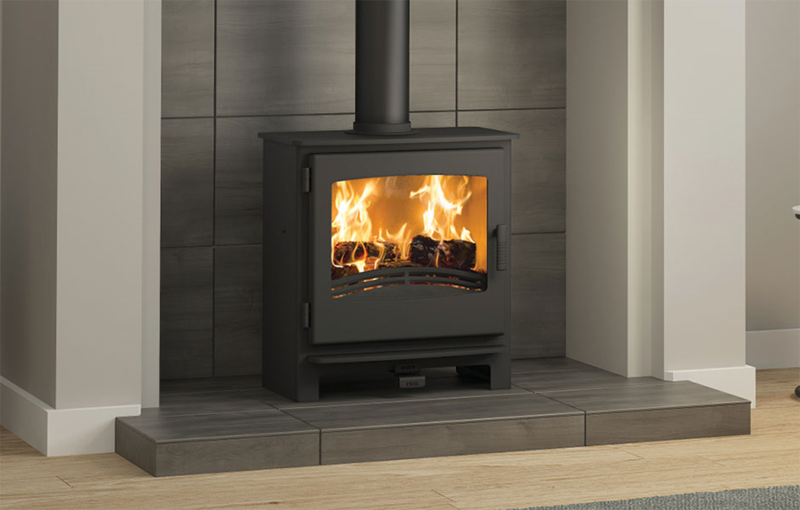 There is also an external combustion air intake option and the ability to burn wood or solid fuel adds to the value of the Broseley Evolution Desire 5 Widescreen Multifuel Stove. The machine has a 79% efficiency rating with the optional a top or rear flue outlet. The dimensions are width 542 mm, height 582 mm with a depth of 351.5 mm and a 125 mm (5 inches) flue outlet. This particular stove weighs in at 80 kg which is fairly light for an eco-design compliant stove with the latest technology. It is not difficult to see why widescreen stoves are extremely popular with many new models expected in the short to medium term. 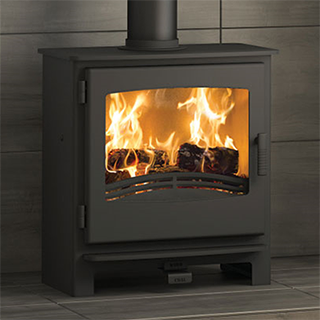 The Broseley Evolution Desire 5 Widescreen Multifuel Stove is highly efficient, looks the part, contains the latest technology and is even compliant with eco-design regulations before they actually come into law. What more could you ask for?